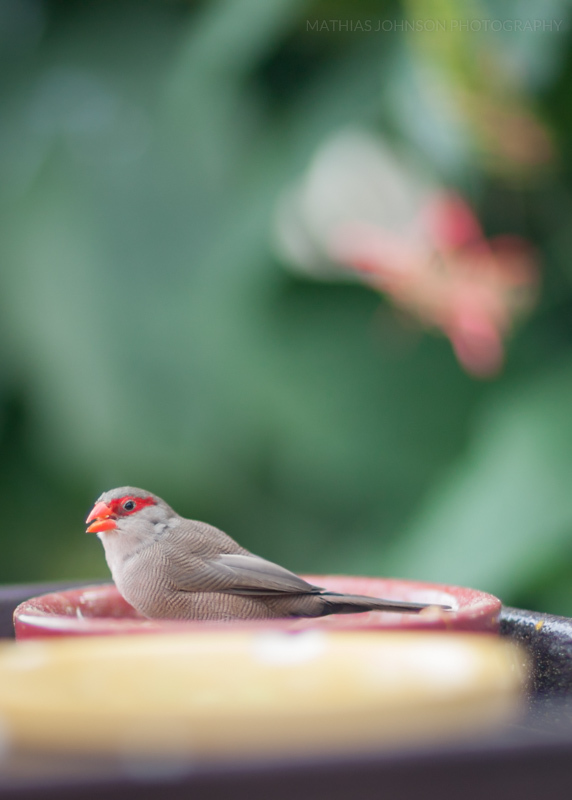 A common waxbill, seen here snacking and eyeing the camera. Once again, this was taken at the Judy Istock Butterfly Haven of the Peggy Notebaert Nature Museum this past weekend. Maybe I'll post a few butterflies next.